Gifts of an Eagle is the remarkable true story of a man and a golden eagle. The adventure they lived was more than they ever expected and even after 50 years, the story remains a touching and astonishing classic. Over 40 years ago Kent Durden was on an East Coast lecture tour for The Audubon Society, when he called home to check on his father and mother. His father, Ed, told him that Lady had left that day. 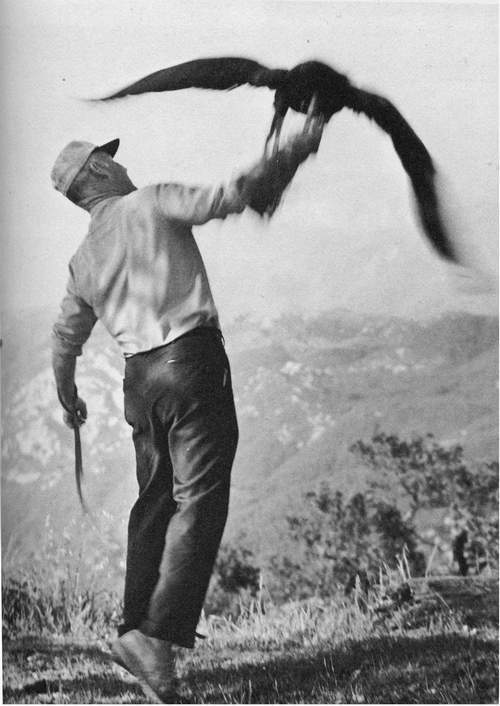 After sixteen years, the golden eagle that was such a large part of the family had left on her daily flight and Ed knew she wasn't coming back. That night, Kent sat down in the large house that Audubon had provided for him and started to write about the remarkable story that he had been a part of for the last sixteen years. Little did they know through all the years that Ed and Kent were filming and training Lady that the real story they were documenting was the curious and deep relationship between Lady and Ed Durden. The book that Kent started that night was Gifts of an Eagle. It was published by Simon and Schuster in 1972. It spent eight weeks on the NY Times best sellers list. Two books and a film followed. The film, Gifts of an Eagle, told the story of Lady all in original footage taken by Kent and Ed.